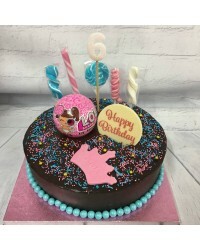 22.5cm/9" round cake. Choose from Red Velvet (White vanilla buttercream), Carrot (cream cheese icing), Banana (chocolate ganache) or Chocolate (chocolate ganache). Your cake will come with candles, cake board and sprinkles to match a name can be added if desired. LOL Surprise doll ball appearance may vary based on availabilty at store when we go to purchase one for your cake. 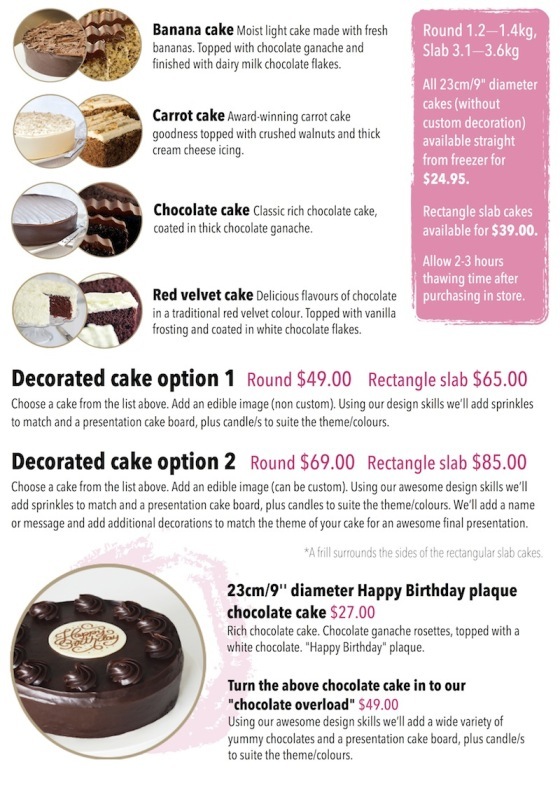 Pick up in Monday-Friday 12noon-4pm (your cake will be created on the morning of collection date). Please order with 2 working days notice. 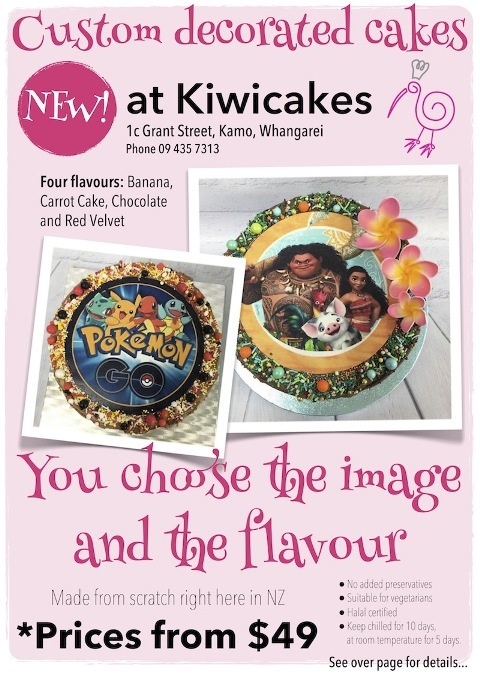 Advise us of your edible image choice at checkout.